First of all - do you know how e-bike works? You may have tried it before, but more than 90% of future users have only heard of e-bikes and have never driven it before. From the beginning, we would advise you to take e-bikes from a neighbor or friend and try to ride it. It is very difficult to choose the perfect model without trying out how they work. So, have you already taken a ride? Great - let's choose. The first thing you need to think about is the budget you reserved for buying your e-bike. 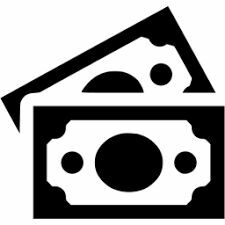 Maybe it's a little bit rude to talk about money right now, but it's really important! If you want to invest less than 800 euro in e-bike, you better not buy it. For 600 EUR you can buy a high quality sports bike and you will be happy with it. And with e-bike for this amount - we don’t think so! 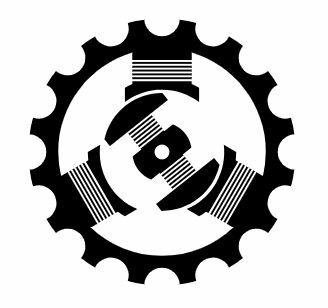 On our website GREATEBIKE.EU we offer only high quality products that are fully compliant with their price. For city e-bike you're gonna spend 800-1500 EUR, if you want to ride into the countryside and travel - 1150-1900 EUR. And if you looking for mountain e-bikes, prepare the 1700-2700 EUR, if it’s eMTB full suspension even a little bit more. Are you still reading ? Great, now it will be more interesting. Let's think about what you need e-bike for. You think of about it as your "vehicle" or rather as "sports equipment". Even if you are looking for e-bike only for forest trails, you can also start using it for your daily commute to work. Also think of the super-flexible folding e-bike that can be with you in the car or on public transport! The perfect e-bike is the one with the right frame for you, so that's e-bike which is not too big or too small. 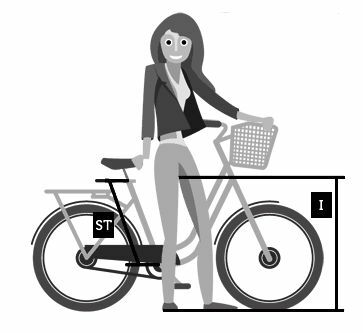 To better understand this, please read our guide "Calculate your frame according to you". Remember that there is no "female" or "male" frame - there is only one which is comfortable and fits you well! Simple equation: more battery capacity = higher e-bike price. 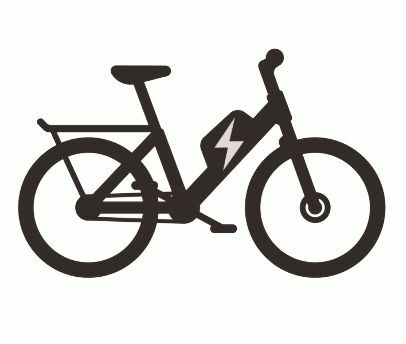 With every e-bike, of course, you get a charger that you can take with you on a trip and if necessary charge your e-bike from any power outlet. The battery costs about 1/3 of the e-bike price, therefore, sometimes the choice of a less capacitive battery can be fraught with the fact that your e-bike will be worse off serving you. 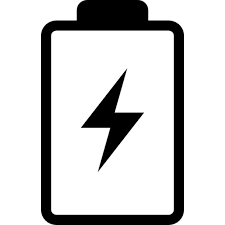 Battery capacity is always specified in so-called watt-hours (Wh), which is an international standard. Today, the most common batteries on the market are 400Wh to 700Wh. 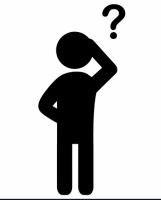 If you weigh more, choose a higher battery capacity, which is probably the only advice we can give here. ►►► If you want to know all about the e-bike's batteries, continue here. Placement of the battery is another thing to look out for. Here we differentiate between batteries that are not integrated (e.g. installed instead of a bottle holder), batteries that are semi-integrated but still visible and batteries that are fully integrated into the frame. Then at first sight, you wouldn' t notice that it' s e-bike. You can choose any e-bike model if you store it in your garage. But if you're going to park in a basement and you have to manipulate your e-bike, it's advisable to choose a model which is easy to carrying (e-bike will be balanced). If you don't have any parking space, choose a folding electric bike. Another dilemma relates to the location of the engine. The common opinion is that there is nothing better today than a central drive. But many of the most powerful electric bikes on the market are controlled by hub motors (the engine is located in the center of the rear wheel). The central motor should be at the e-bike in cases where weight distribution is important. We definitely recommend you to test e-bikes with both types of motors and then make a decision according to your own feelings. The central engine will be about 10-15% more expensive because of it’s complex construction. ►►► If you want to know all about the e-bike's motors, continue here. The range of e-bikes is huge today - at GREATEBIKE.EU we offer about 500 different models and variants. The choice also depends on your personal preference for a certain brand, or you like a particular color and design. And that' s very important too! E-bike from GREATEBIKE.EU will be your perfect partner for many pleasant years. and if you have more luggage, it's better to choose an e-bike equipped with a rear bag . We'll help you to make your perfect choice! Is there anything you haven't read here? and we'll be happy to tell you everything you're interested in!